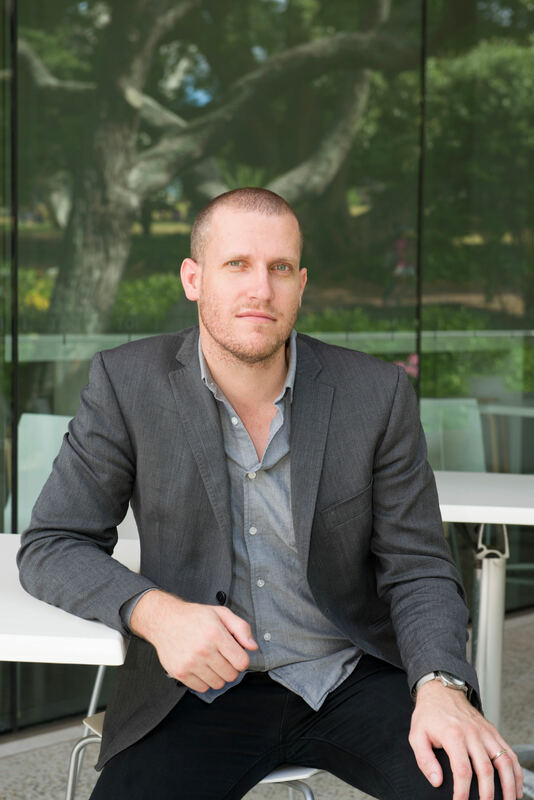 Stephen is a curator and writer and has previously been Acting Curator, Contemporary Art at Auckland Art Gallery Toi o Tāmaki. His previous positions include: Director, The Physics Room, Christchurch (2010-2012), Curator, Te Tuhi Centre for the Arts, Auckland (2008-2010) and co-founder/ curator of the Window project at The University of Auckland (2002-2007). He has curated a number of group shows including A world undone (Auckland Art Gallery), Measure the city with the body (St Paul St Gallery, Auckland/ The Physics Room Christchurch) and Modern Physics, Unpacking My Library and Wall of Sound (Te Tuhi Centre for the Arts, Auckland). He recently developed the 2014 Walters Prize exhibition along with a number of books published by Auckland Art Gallery. Andy is the Adam Art Gallery’s technician, installation coordinator, and is in charge of exhibition maintenance. He also assists in the ongoing management of the Victoria University of Wellington Art Collection. Sophie holds a masters degree in Art History and Theory from the University of Canterbury and a post grad certificate in Heritage Materials Science from Victoria University of Wellington. She has previously worked as registrar at the Wellington Museums Trust and Te Manawa Museums Trust. Ann has a background in registration and archiving with previous work experience at Walker Art Center, Minneapolis as well as assisting several artists based in New York City. She has been living in Wellington since 2012. Lucy is a New Zealander with a diverse professional history. Having grown up in Auckland she acquired qualifications in horticulture and travel and tourism and then worked as a travel agent, vineyard worker, fruit picker and herd tester in the South Island and the Waikato. After several years travelling and working in Europe, she returned to NZ and completed a Resource Studies degree at Lincoln University, followed by a PhD focused on NZ and globalisation, followed by a postdoctoral fellowship at Lancaster University in the UK. She then worked as a research analyst for local government, as a research fellow at the University of Auckland, and as Programme Manager at the Committee for Auckland. In 2010 Lucy spent a year in the office of the Mayor of Auckland as advisor on the Auckland Plan and stakeholder engagement, before joining the University of Auckland as Strategic Relationships Advisor in the Vice-Chancellor’s Office, during which time she chaired the Auckland City Centre Advisory Board from early 2014 to mid-2015. In 2015 Lucy became Manager of Auckland Council’s Research and Evaluation Unit (RIMU), leading a team of 55 scientists, subject matter experts and analysts who conduct environmental, economic, social, and cultural research, monitoring and evaluation to support Auckland Council’s decision-making and meet its mandatory and critical requirements. She then joined AUT as Senior Advisor to the VC to advise on the implementation of the university’s strategic plan. Her academic background; her understanding of the relationship between universities and their local, regional, national and global context; her ability as a ‘specialist generalist’ to think strategically and her ability to build relationships through engagement across multiple stakeholders to mutual benefit led to her appointment in July 2018 as Deputy Vice-Chancellor (Engagement) at Victoria University of Wellington. Sandy Callister is a Director of the marketing strategy firm The Providence Report and is a trustee for the Wigram Foundation and World Vision New Zealand. She has previously worked for TVNZ, Saatchi and Saatchi in New York, Unilever in London, and was Managing Director of Colmar Brunton in Wellington. She holds a PhD in History from the University of Auckland, and has studied women and leadership at the Harvard Business School. Her book The Face of War: New Zealand’s Great War Photography was published by Auckland University Press in May 2008. 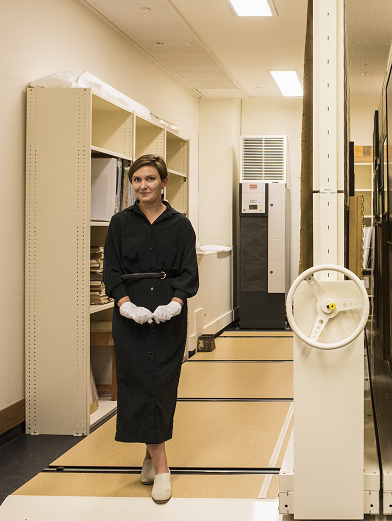 She is currently a Research Scholar at the Stout Centre, Victoria University, researching a book on New Zealand’s Victorian family albums. Phyllis Mossman is a part-time Lecturer in Art History and has had a long association with the programme. She is also an enthusiastic supporter of the gallery who has provided informal advice and support over the years. She was on TheNewDowse Friends committee for seven years (three as President) and is currently the Art Consultant for the ANZ bank and (on an as required basis) for the Wellington office of Russell McVeagh and the Reserve Bank. Priscilla Pitts is General Manager Heritage Destinations for the New Zealand Historic Places Trust Pouhere Taonga. Previously she was Director of the Dunedin Public Art Gallery and Otago Settlers Museum (1998-2007), the Govett-Brewster Art Gallery, New Plymouth (1993-1998) and Artspace, Auckland (1989-1993). She is well known as a commentator on contemporary art and has served at a national level on a wide variety of visual arts panels and committees. 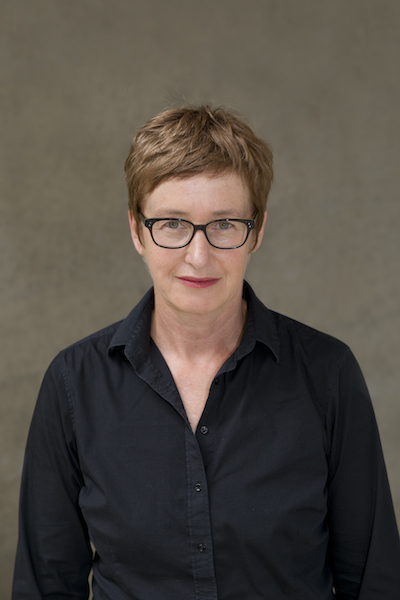 Robin Skinner is Dean of Architecture and Design Faculty Office at Victoria University of Wellington. Professor Jennifer Windsor is PVC & Dean, Faculty of Humanities & Social Sciences at Victoria University of Wellington. She completed her undergraduate degree at Cumberland College of Health Sciences in Australia and completed her masters and PhD at Purdue University in the United States. She was a professor at the University of Minnesota from 1990-2014, and was Department Chair of Speech-Language-Hearing Sciences from 2002-2008. She led all aspects of undergraduate education as Associate Dean in the College of Liberal Arts from 2008 onwards. Her scholarship focuses on children’s language acquisition and disabilities, and she has written numerous research articles on factors influencing language development. Professor Windsor joined Victoria and took up her current position in January 2015. Founder and director of The Young, Carey Young began her working career in an advertising production role in Wellington New Zealand. She traveled to London in 1998 to continue working in this field whilst supporting herself through an undergraduate Fine Art degree at Goldsmiths College, University of London. On return to New Zealand in 2001 she began working closely with Hamish McKay and his stable of artists. This work continued for ten years and Carey helped manage the shift in premises from his Willis Street gallery into the current space in Ghuznee Street, along with forging meaningful and lasting relationships with, artists, patrons, institutions and clients. In 2011 she began to work as Head of Fine Art Services in Wellington for Webb’s Auction House, eventually leaving this role in October 2014 to concentrate on her own gallery, The Young, of which she founded in February 2011. Education: 2011 – 2013 Victoria University, Wellington studies toward Bachelor of Art with focus on Art History. Goldsmiths College, University of London, UK studies toward BA Fine Art. 1990 – 1992 Wellington Polytechnic, School of Design, certificates in Textile Design and Contemporary Maori Design. Anna-Marie White (Te Ātiawa) is a doctoral student in Art History at Victoria University. Her thesis is concerned with the history of contemporary Māori art. Anna-Marie was previously the curator at The Suter Art Gallery Te Aratoi o Whakatū, the public art gallery for the Nelson region from 2007–2016. There she developed a series of exhibition and publication projects that examined cultural identity in contemporary New Zealand art. These included Kaihono Āhua / Vision Mixer: Māori Modernism / Pākehā Primitivism (2013), Puehu: Polynesian Video and Performance Art (2013), The Maui Dynasty (2009), and Pākehā Now! (2007), the first exhibition of contemporary Pākehā art. Anna-Marie attended the Elam and Canterbury Schools of Fine Arts, graduating with a BFA in 2001. She has a Master of Arts (Museum Studies) with first class honours from Massey University for the thesis ‘Māori Curatorship at Auckland Art Gallery Toi o Tāmaki 1998-2001’. She has been awarded a Te Māori Manaaki Taonga Fellowship (2001), Ngā Karahipi a Te Waka Toi Scholarship (2006) and a Victoria Scholarship (2016). The Adam Art Gallery relies on the work of volunteers to provide support and assistance in the administration of the gallery and in the coordination of projects and events. We are extremely grateful to our volunteers for the valuable contribution they make to gallery operations. If you’re interested in learning more about volunteering for the gallery, please visit the Volunteer Programme webpage.